Click the button below to add the Copper Range Hood '0207' to your wish list. 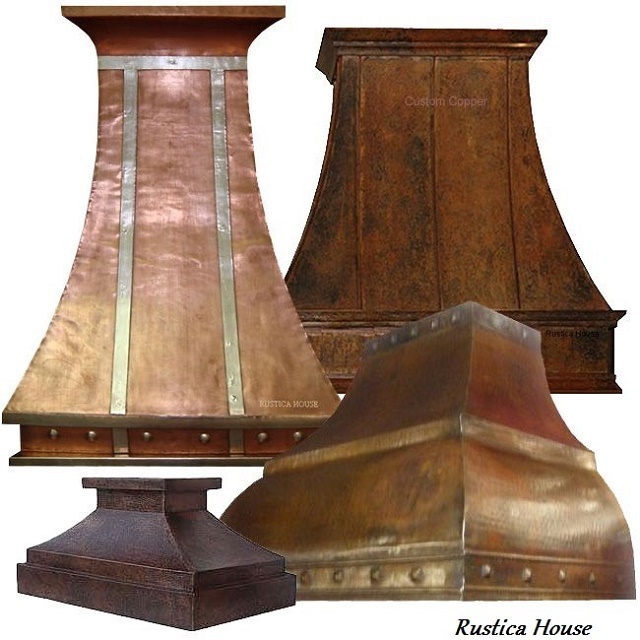 Polished copper vent hood by Rustica House. This hood is also offered for sale with all other patina finishing included dark, light, green oxidized and antique. It has a beautiful design hammered on its lower bend. Purchase it as natural vent, customized for your own insert or with our two speed 200CFM fan, light and filter included. Use Note window below vent hood price to specify your equipment brand and any other information you consider important for the hood production. As any other rustica copper metal hood, it can be order in wall mount and kitchen island version.